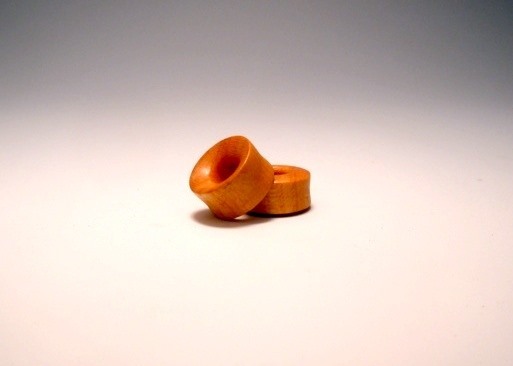 I turned my first ear plug purely as a challenge when the question was asked on a turning forum and nobody could provide an answer. I didn't know much about them, only a general concept of the shape I was going after. 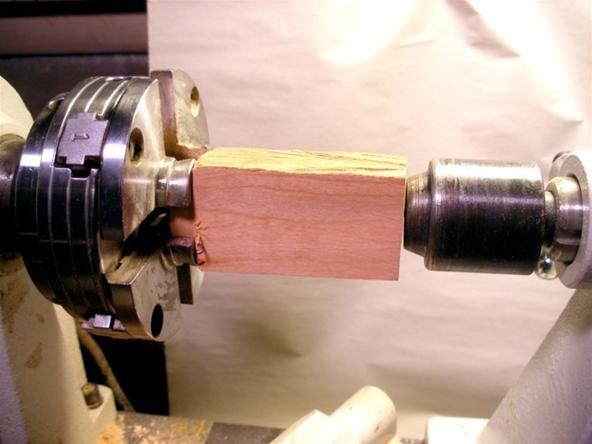 This method does use a chuck, but I'll go over how to do it without one, as well. Also, specific sizing won't be covered. I started this project with a 1¼"x 3" piece of cherry. 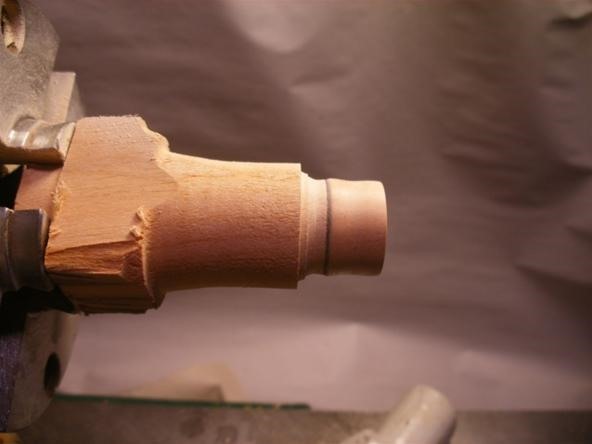 I had to turn a tenon on this piece to get it to fit into my small chuck jaws. After it is in the chuck, finish turning a cylinder a little larger than your final size and don't forget to true up the end. 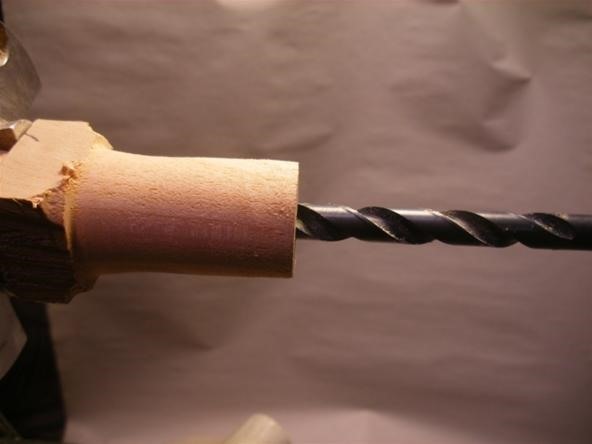 If you want a simple flat, concave or convex face, simply leave off the drilling and simply shape the end as you wish. 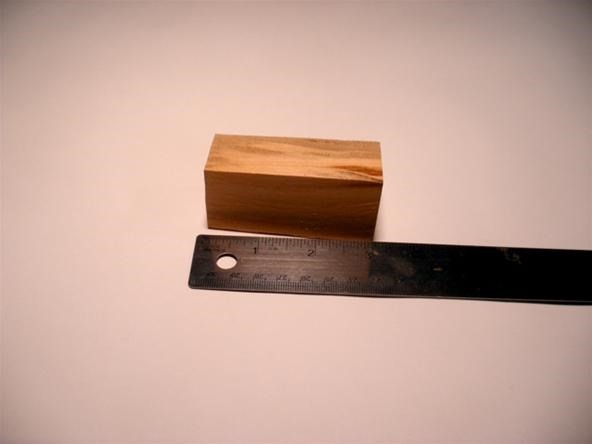 At this point, I not only mark the width, but use a parting tool to take some of the wood away. That is because once you finish shaping the cove, it's sanding time. 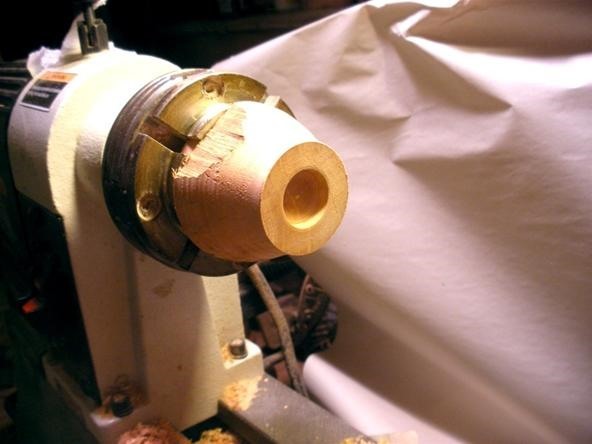 Depending on your lathe skills, you can determine what grit sandpaper you need to begin with. Sand to the marked edge and part the piece off and you have what you see below. We're halfway there. Your local hardware store will likely only carry sandpaper up to 800 grit. You can find higher grits at your local automotive parts store. If you really want to go super smooth, you can buy micro mesh sandpapers that pen turners use at woodworking stores either locally or online. This is the tricky part. The recess is cut so that the half-finished plug is a tight fit, which allows you to work the other side. 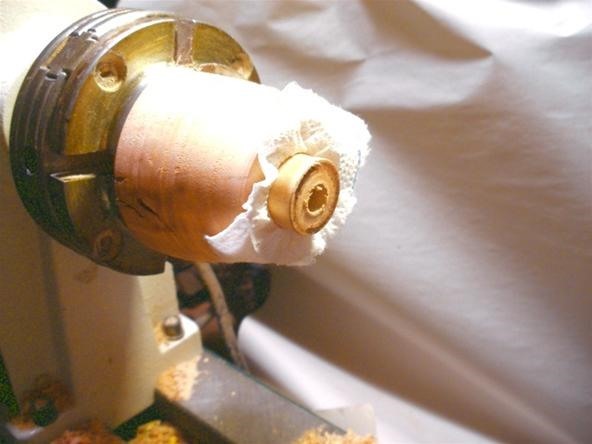 A piece of paper towel can be used to help get a tight fit and it protects the finished wood inside. Go ahead and turn this side of the plug and sand. This can done using a faceplate as well. 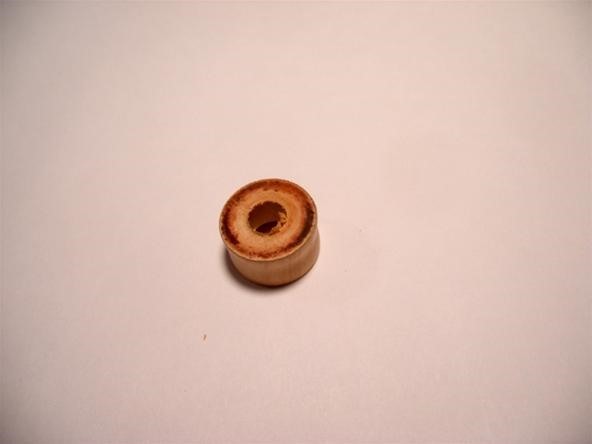 If you don't have a chuck for your lathe, this is the part you really need. 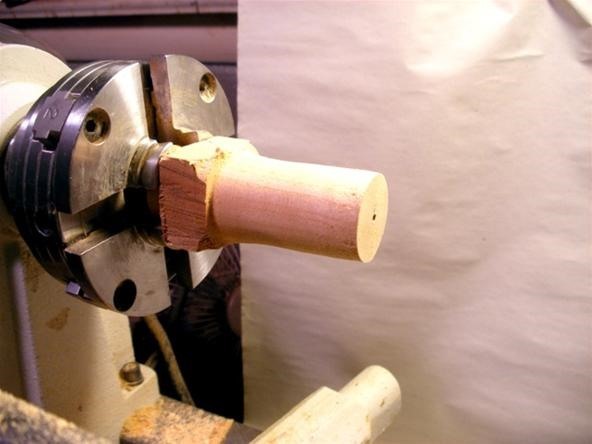 Simply turn a cylinder between centers and cut off short lengths for the plug and use the friction chuck to finish shaping them. Unfortunately, you will have to do all of the sanding by hand using this method.